Forever by Chris Brown is part of the album "Exclusive (album)" and comes under the genre Blues,Contemporary Blues , Blues,General , Blues,Modern Blues , R&B,Contemporary R&B , R&B,General , R&B,Soul. It was released on 03 Jun 2008 under the label of Jive. Copyright holded by (P) 2008, 2007 Zomba Recording LLC. 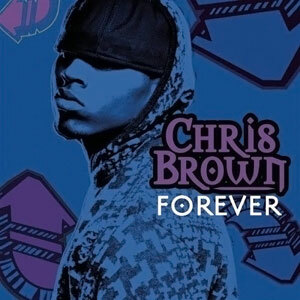 'Forever' is a 2008 Single by American R&B singer Chris Brown. Produced by Polow da Don, it is the first single from the repackaged 'Exclusive: Forever Edition', and is the fifth overall single by Brown from his second studio album, 'Exclusive' with uncredited backing vocals from Keri Hilson. Initially created to be used for Doublemint gum, 'Forever' was a top 10 hit in various countries. On November 25, the official remix leaked featuring Lil' Wayne and Lupe Fiasco. Forever Lyrics are the property of the respective artists, writers and labels. These lyrics are provided for eduacational purposes only. Please buy the song if you like them.